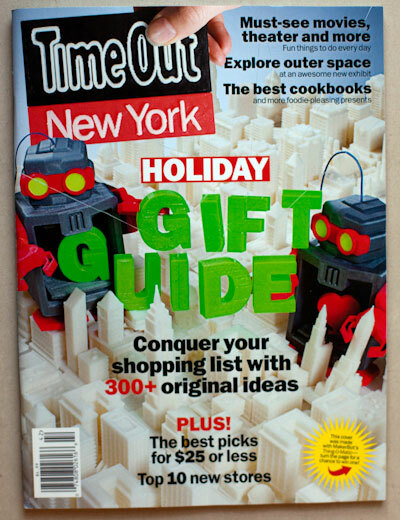 I’m so thrilled that Time Out New York chose MADE IN AMERICA as one of it’s top ten cookbooks of 2011 for its Gift Guide edition, on newsstands now. 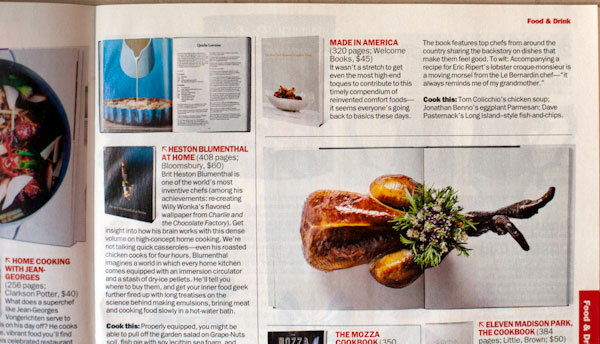 There I am on page 25 -The Season’s Best Cookbooks – next to Heston Blumenthal At Home and above Nancy Silverton’s The Mozza Cookbook and Daniel Humm’s Eleven Madison Park The Cookbook… what company, truly honored. 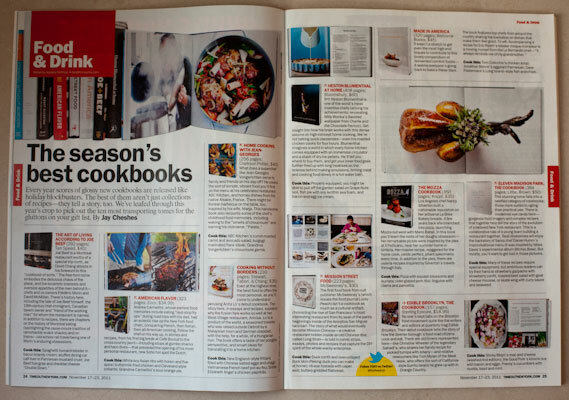 The other’s that make up the ten are The Art of Living According to Joe Beef, Andrew Carmellini’s American Flavor, Home Cooking with Jean-Georges, Anita Lo’s Cooking without Borders, Mission Street Food and Edible Brooklyn, The Cookbook. I’ve just returned from New York and a fabulous book launch party at Eataly – lots more on that to come once I get photos sorted – but for that once in a lifetime experience I am extremely grateful to my friend Joe Bastianich and everyone at Eataly – especially all the chefs who cooked tastes from the book and came out to play from far and wide – Dave Pasternack, Marc Vetri and Jeff Michaud from Phili, Alex Seidel and Jen Jasinski both flew in from Denver, Andrew Little – from Gettysburg, Brooks Headley, Craig Stoll from San Francisco, Gordon Finn (on behalf of Michael White) and Jean Jacques Rachou my father-in-law. 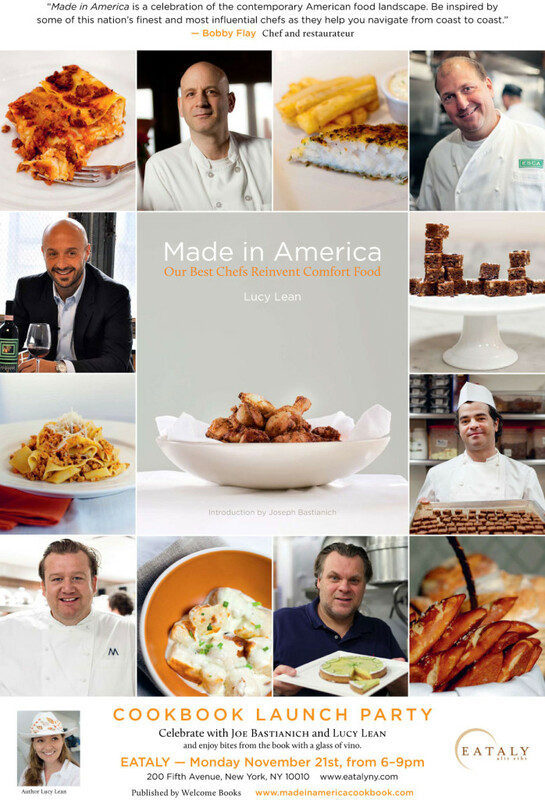 At a recent book signing for MADE IN AMERICA I was asked if there were any American recipes I had come across during my travels and research that I found shocking. The first dish that sprung to mind, that was never really a contender for the book, was mashed sweet potato with marshmallow topping. Try as I might I just don’t understand or like this dish – perhaps it’s something that just doesn’t translate and you have to have grown up with it being presented at the table every holiday? But you have to love sweet potatoes – so American, so festive and just plain gorgeous on the Thanksgiving plate with that much needed pop of orange amongst the meat and the stuffing. The first dish I have prepared is the sweet potato – no marshmallow in sight. 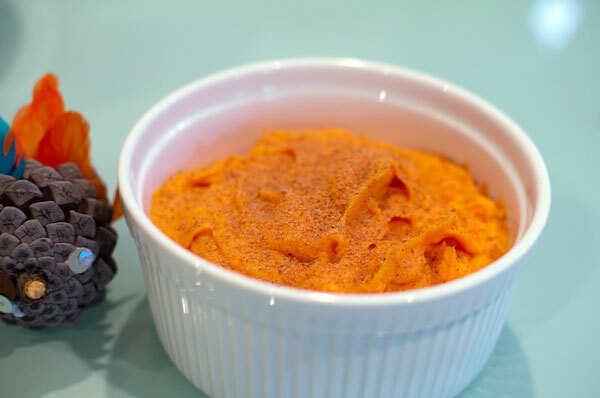 It’s based on Martha Rose Schulman’s recipe that is the best I have found and have cooked it ever since I took her Thanksgiving Without Tears class – it’s a mix of roasted sweet potatoes, apple, plain yogurt and lime juice. I add a little nutmeg to the top. I am most grateful to my family – who actually took the time to come and collect me from the airport last night. 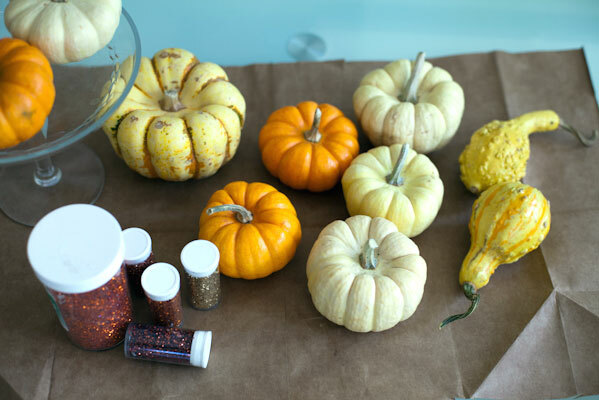 We have spent the day preparing for Thanksgiving by crafting together – I covered more mini pumpkins with various shades of orange glitter for the center of the table. 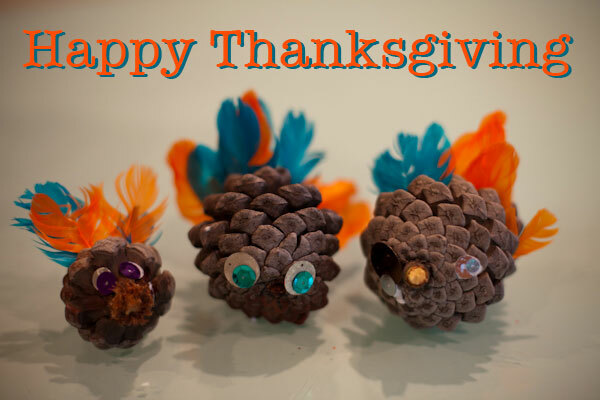 Minty and Rémy crafted too – making these cute little pine cone turkeys – inspired by a recent post by my friend Marla Meredith over at Family Fresh Cooking. My cranberry sauce – made up on the fly using fresh cranberries and booze! So as we head into the holiday season please keep MADE IN AMERICA in mind as the perfect gift for that hard to buy for person – and for that easy to please family member on your list… and if you’ve already purchased the book from Amazon please please please leave a review there and spread the news – I will also send anyone a signed bookplate should you live too far away for me to sign any book in person. INCREDIBLE! Congrats on being featured in ‘Time Out New York.’ What an accomplishment. You deserve it! It’s a fantastic cook book. Have a wonderful Thanksgiving. LOVE this post. Those pine cone turkeys are just the happiest things ever. 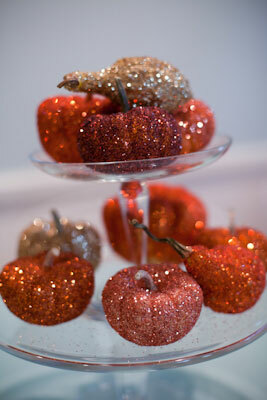 Your glittered pumpkins are stunning centerpieces. I need to make some of those too. I am so thrilled with how life is moving along too. Your book is a huge achievement in many, many ways. You are an awesome pal, a great mom and an amazing, talented woman. I am very proud of you friend. May you see continued success, health and happiness! !